Prosthodontics literally means “replacement tooth,” but this area of dentistry encompasses much more. It involves a range of restorative dentistry. Gambrills, Crofton, Annapolis, Baltimore, Bowie, and the greater Washington DC area patients can enjoy their smiles again. A dental crown is a covering of strong material such as porcelain or zirconia that encloses the visible portion of a tooth. A crown provides strength and preserves remaining tooth structure. A dental bridge spans the gap left by one or several adjacent missing teeth. The bridge consists of artificial teeth, anchored into place by crowns on the teeth on either side of the space. 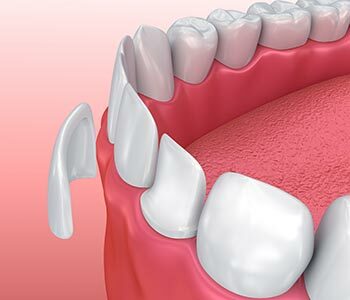 Dentures can be a sound prosthodontic solution for multiple missing teeth or for the edentulous (toothless) patient. Dr. Bingham-Lester designs customized partial and full denture solutions. 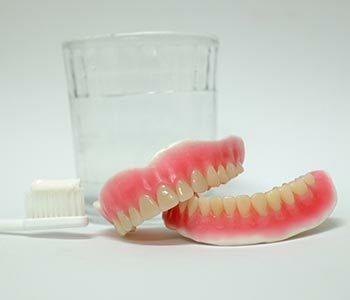 Please see the Denture page on this website for detailed information. Dental veneers in Gambrills are not replacement teeth, but are considered to be prosthetics – artificial body parts. Veneers modify the color and shape of natural teeth, and improve the appearance of minor misalignment. At Bingham-Lester Dentistry, prosthodontic care is as unique as you are. Most adults grind their teeth at some point in their lives, related to stress or physical issues. Imbalance of the temporomandibular joint can also be triggered by a missing tooth, malocclusion, or cross bite, so treatment of TMJ disorders (TMD) falls into the category of prosthodontics. 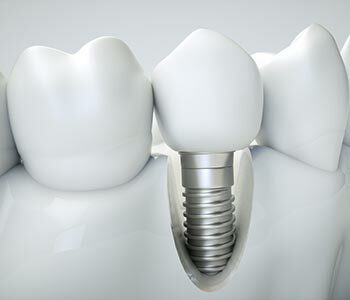 Dental implants are titanium roots that are replaced in the jawbone to resemble a tooth or group of teeth. A screw is inserted through the gums and into the jawbone. A porcelain crown is then attached to the screw to become the new tooth or teeth. 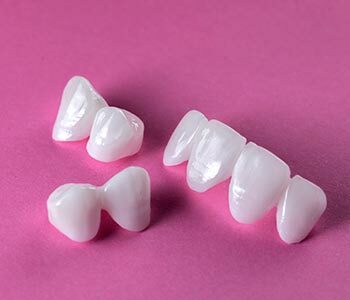 They can be used to support dental prosthesis, including crowns, dentures, and bridges. Today’s treatments are so natural looking, no one will know you had surgery. There is approximately a 95 percent success rate for all implants. 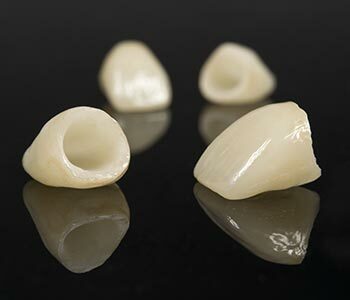 With modern advances in dentistry, some implants can be restored immediately with lifelike all-porcelain crowns. For more details, ask your dentist. A dental implant replaces the root of a missing tooth, for a restored smile that looks completely natural. With a success rate of 95 percent, dental implants are quickly becoming treatment of choice for missing teeth. This short video, brought to you by Dr. Bingham-Lester at Bingham-Lester Dentistry explains the process. Veneers - veneers are thin handcrafted porcelain shields worn on front of the tooth to improve the appearance of teeth that are chipped, cracked, stained or worn. Veneers are as thin as contact lenses and are an aesthetically pleasing option of closing gaps, lengthening teeth, and providing symmetry to make your smile more natural. Veneers are intended to last many years without changing color. They are one of the most popular cosmetic procedures in dentistry. Ask your dentist if veneers may be right for you. This brief video is packed with information on the porcelain veneer procedure. For veneer procedures call Dr. Bingham-Lester at Bingham-Lester Dentistry 410-885-6522. There is no one solution that fits the needs of every dental patient. At Bingham-Lester Dentistry, prosthodontic care is as unique as you are. Call 410-885-6522 to schedule a consultation. Tracey D "Bingham-Lester Dentistry provides THE BEST care! From when you enter the office to when you leave you'll receive the best customer service, care and support. I recently had to switch dentists and there is no comparison to the care that I am receiving now. When receiving care for your mouth you want someone that stays up to date with advances in the field, as well as technology. I highly recommend Dr. Bingham-Lester and her staff."